The KORG SY-1D SyncDancing Synchronized Dance Music Player is a compact yet versatile music player that allows you to play music in your ear and sync with your dance partner so you can both hear the same sound. The Korg SyncDancing Synchronized Dance Music Player features an infrared tempo synchroniser, ideal for synchronising with other dancers so you can move in time with the music. It features a varied range of beats and rhythms plus 20-built in ballroom songs. The 'Jog Switch' allows you change settings without removing the unit from your ear. The SyncDancing is also designed for comfort, securely fitting to any ear shape plus it comes complete with an ear pad and carrying case. 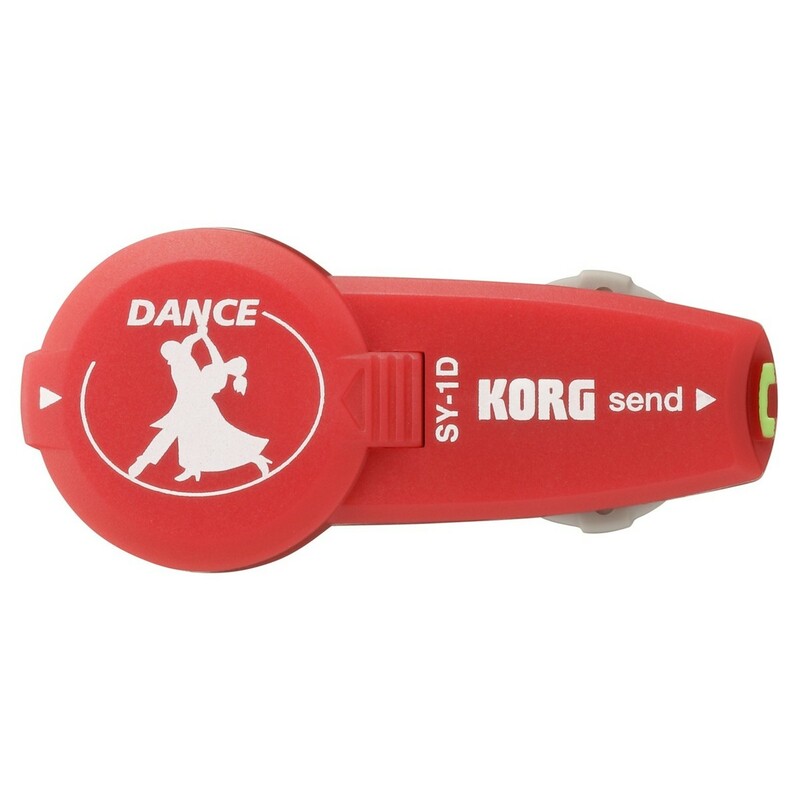 The KORG SY-1D SyncDancing Synchronized Dance Music Player is a versatile dance music player designed for professional dancers from ballroom to dance groups. 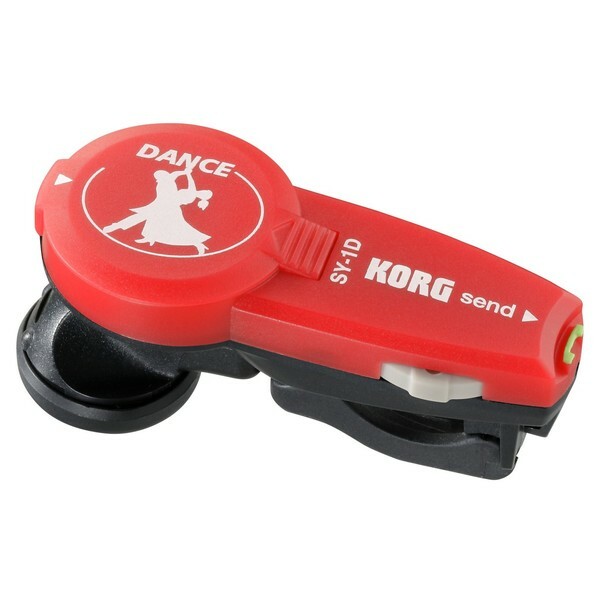 Its unique functionality allows you to synchronise your unit with another via infared tempo synchronisation allowing you and your dance partner to hear the same rhythm/song while dancing. This allows you to both stay in time and hear the music at the exact same time, which is paramount to dancers who need to synchronise their step to the music. There is also a built-in voice count, which will count you in, perfect for beginners or practicing. The metronome itself features a varied range of rhythms and beats, ranging In tempo from 30-252 bpm. You can also set the beat in the range of 0-9 beats and choose the rhythm settings, ideal for varying time signatures. You can also omit beats from the rhythms for added versatility, perfect for different song styles, genres and time signatures. Additionally the SyncDancing Music Player features twenty standard ballroom dance songs built-in to get you started, allowing you to practise routines with ease. Each of the internal dance songs were created by a professional arranged who produces music for ballroom dance. One of the most convenient features of the Korg SY-1D SyncDancing Synchronized Dance Music Player is the ‘Jog Switch’ feature on the side of the units body. 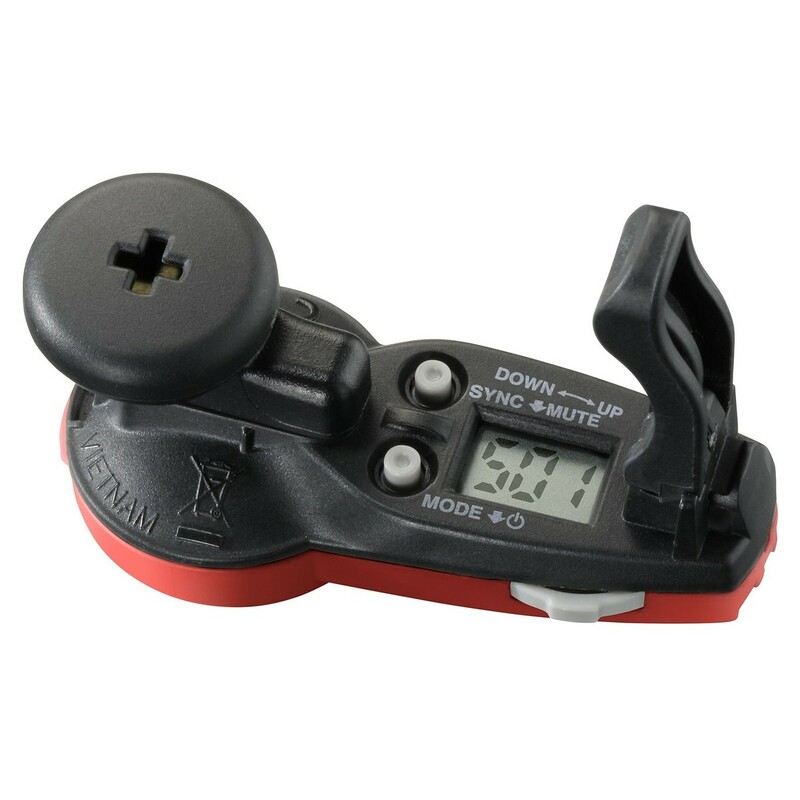 This ‘Jog Switch’ control allows you to change the settings of the SY-1D without having to remove it from your ear. This allows you to make changes to your beats, rhythms and tempo on the fly. The side of the body features mode select, power button, sync/mute button and a LCD displays which shows you all the relevant information you need such as tempo and rhythm. The compact yet robust design of the Korg SY-1D means its ideal to take with you anywhere you go, plus it provides up to 100 hours of continuous operating using a coin-type lithium battery. Another useful feature is the memory backup function which remembers the tempo and other settings even when the power is off. This allows you to retain your previous settings once you turn the unit back on. Additionally the SY-1D comes complete with a well-cushioned ear pad for added comfort plus a carrying case that neatly stores the SyncDancing Player, the battery and the ear pad.